Scott's Web Log: Straight from the Bog? Last night, I tuned into dLife (well, I didn't exactly do it myself, but TiVO changed the channel and began recording it for me and I turned the TV on and tuned in then). I realize that dLife is an advertiser-sponsored program, and like other diabetes-related media, dLife needs sponsors to pay its bills. But one thing that irritates me is their regular broadcasting of Ocean Spray Light juice commercials. One of those commercials, which by the way, have gotten some positive reviews for their humor and effectiveness in the advertising industry, featuring the two bog guys (consisting of an older guy and a younger, but shall we say, slower guy>) who present the Ocean Spray brand on TV. In one spot, they promote Ocean Spray Light to an audience watching dLife. Don't get me wrong, Ocean Spray Light DOES have 2/3 fewer calories and sugar than Ocean Spray's regular juice drinks BUT why is one of the nation's best-known and most successful agricultural cooperatives (consisting of growers of cranberries and grapefruit with some 650 member growers and annual sales of $1.4 billion during fiscal year 2005) promoting THAT particular product to people with diabetes? After all, Ocean Spray also offers a line of Diet juice drinks which have even fewer calories and even less sugar and total carbs! 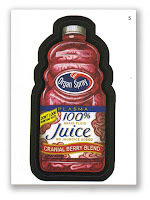 For example, Ocean Spray's Diet Cranberry Spray juice drink has only 5 calories per 8 oz. and 2 grams of sugar (and total) carbs per 8 oz. serving compared to Ocean Spray Light Cranberry Juice drink which has 40 calories (8 times as many) and 10 grams (5 times as many) of sugar carbs. Although the Ocean Spray Light juice drink line has several more products, not so much as a mention of Ocean Spray Diet juice drinks are included in their advertisements. 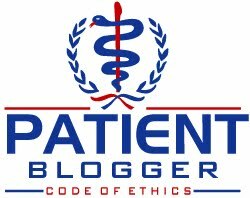 Where are the ethics of promoting a poorer food choice to a vulnerable segment (particularly given the number of newly diagnosed patients each year) of the population? When McDonalds promoted salads a few years ago, the press jumped all over them, but why does no one mention issues like this? Sorry, but Ocean Spray and the cooperative's Boston-based advertising agency who created the ads, Arnold Worldwide (a subsidiary of Havas Advertising, the world's 6th-largest communications group) should really be held responsible for this socially irresponsible marketing decision. Which is the better choice for a person with diabetes? Can you guess which one is being advertised on television? I thinks Topps Wacky Packages got this particular parody right! Let me just close by saying that I'll save my comments on another dLife sponsor, Kraft Foods, for another posting. But my issue is that unlike print media such as newspapers which feature "pseudo-articles" but usually include a heading indicating "Special Advertiser-Sponsored Content" to alert readers that the content is not from the magazine or newspaper, that does NOT happen in Kraft's sponsored cooking segments! dLife should be held to a higher standard of ethics, folks! The sugar-free version is definitely better for the BG's but perhaps not better for overall health for those who are worried about their weight? Thanks for your comment. Its hard to say, especially since both the Light and Diet versions contain the same artificial sweetner. But we know that a lower-calorie version (in this case, Ocean Spray Diet) would also be beneficial for many patients with type 2 who are trying to manage their weight, in addition to having fewer carbs. The only real health benefit in question is the antioxidants found in cranberries themselves, but I would argue that the benefits of fewer calories and fewer carbs would outweigh those elusive benefits in most cases!